Mr. Matthew Lehman, the General Manager of the Fairmont Miramar Hotel & Bungalows hotel, would like to welcome you. We invite you to experience the very best of Santa Monica at Fairmont Miramar Hotel & Bungalows with bungalows designed by Michael Berman, seasonal cuisine at FIG Restaurant, The Bungalow by Brent Bolthouse and fitness by exhale mind body spa. Just steps away from the beach, the pier and the promenade. 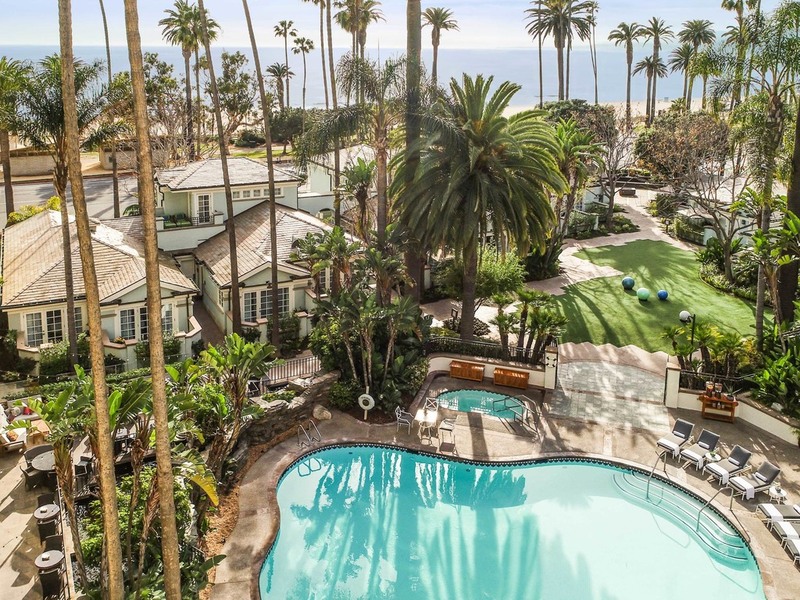 Accommodations: Fairmont Miramar Hotel & Bungalows offers exquisitely manicured grounds. The hotel include 302 guestrooms, 61 of which are suites, 31 redesigned surf modern bungalows and the most ocean view rooms in Santa Monica. 302 Guest Rooms between 2 building and Several Bungalows. Most rooms in the Ocean Tower offer View of the Water. The Palisades Building offer larger floor plans that are good for families. The Bungalows are private and located in the gardens around the pool. FIG Restaurant is a seasonal, Mediterranean-influenced bistro, serving wood-fired dishes made with locally-sourced ingredients from hand- selected farmers and purveyors in California, including the Santa Monica Farmers' Market. The Lobby Lounge located off the Main Lobby is the perfect meeting place. Set against the soothing Koi fishpond and waterfall. Open-air outdoor seating the patio is ideal for socializing. Early risers can enjoy complimentary cup of coffee before 6:00 a.m.
Odalar son derece konforlu. yeri mükemmel. Genel olarak otel'den çok memnun kaldık. Hafta sonuna özel düzenlenmiş olan sahil servisi çok iyi fikir. Bence bu otelin standart servisi olmalı. Yani aynı servisi hafta içindede sağlamalı. otele çok değer katacağını düşünüyorum. Bu defa en hoşnutsuz kaldığımız bölüm Housekeeping. Bence çok kötüleşmiş. Oteli çok sevdiğimiz için bizi çok etkilemedi ama önemli.